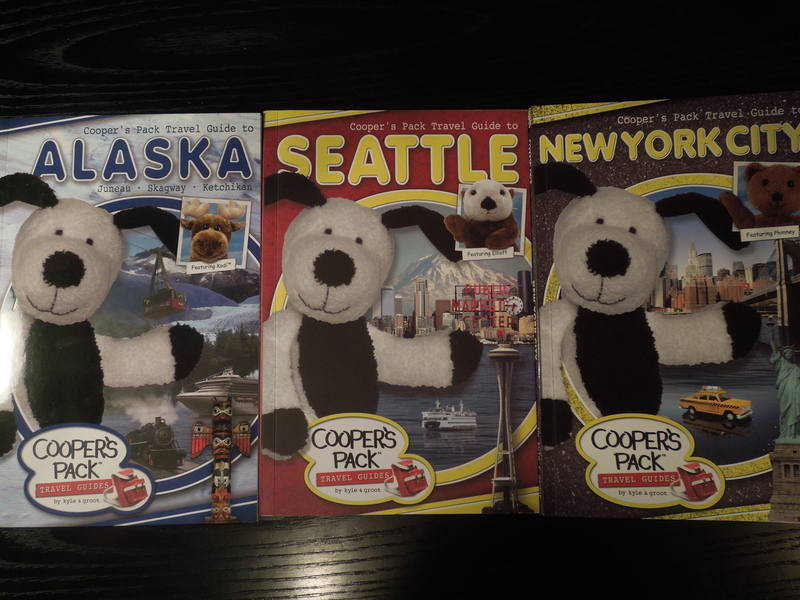 I was recently given a review copy of a few of the Cooper’s Pack Travel Guide series, and what a treat! These are great travel guides written for kids, but very useful for your travel planning as well. The maps alone are worth the price of the book! There some great vacation photo ideas in the book, too. I envision having my son read the book before we go in order to build a little excitement about the city, then involving him in our itinerary planning – including some favorites from the book, and finally bringing the book along with us while we’re there. The first two-thirds of each book tells a cute story starring Cooper the dog visiting one of his animal friends (a member of his ‘pack’). We follow along as the friend shows Cooper the fun things to see and do in his city. There are tons of pictures showing the friends sightseeing with a little trivia about each stop. The destinations are great; some popular favorites, and some I’ve not heard of even though I’ve spent loads of time in that city (for example, I did not know about the wall of gum in Seattle!). The final third of the book is laid out more like a traditional guide, but still very geared toward kids and heavy on the pictures. Here you’ll find a list of the activities that Cooper and his friend experienced, along with a map showing where to find those activities yourself. If you only have a few days in the city, this list can help you plan your highlights. They also list other kid-friendly activities nearby or elsewhere in the city, also noted on the map. Here you’ll also find bios of Cooper and his friends, and a place for your child to write their own. Inside the book, there are over 100 ‘bones’ to find. They are not actual bones, they are little pictures of Cooper or his friends, his name on an item or building, etc. You and your child can search the book and check the website to see if you found them all. This can be a fun activity to do while standing in line for an attraction on your visit… saving some battery power on your smartphone or iPod touch . You can also buy your own Cooper the dog toy (or one of his friends) and bring it with you on vacation, take pictures of them in the city, and upload them to the website cooperspack.com. My son and I really enjoyed these books! Click the links below to get your own copy and tell us what you thought of them in the comments below!